This is a club for members of Cadre 2 Entity 6, which Michael identified by the name of Willow. 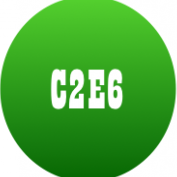 Identify yourself as a member of C2E6 and post links to any material you have received that references the entity. This is my attempt to define the positions in C2E6 given that there are 15 empty positions managed by wild cards. Michael has said the whole first side is Artisans, the whole second side is Priests, and the third side is Scholars and Warriors. The sequence of positions on the third side has not been pinned down except that Michael said it seemed to be alternating between Scholars and Warriors, but the method of alternation is not known. The spreadsheet starts with the assumption that each cadence alternates between the two roles; perhaps it is greater cadences that alternate, or perhaps the alternation is not precise.